Being in debt can be extremely stressful. You worry about how you will manage to pay off the debt, and what to do if you cannot pay it off right away. It is reasonable to be concerned about what you will lose if you are unable to pay your debt. It is understandable to be fearful of how the bill collectors might treat you and to be distrustful of debt relief services. It may be possible for you to get the debt help you need without going into bankruptcy or falling prey to a dishonest or fraudulent debt relief company. Here are some suggestions for self-help methods that might help you cope with debt. If you are good with numbers and math this shouldn't be difficult for you to plan out. If you struggle with numbers then it is a good idea to ask a reliable friend or family member to help you make a budget. Start by figuring out how much you make in a month. Next, write down your monthly expenses. Some of those expenses will include rent or mortgage payments, car payments, groceries, utilities, credit card payments and insurance premiums. Don't forget to add things like internet and cable into the list. What is left over? You are going to have to use a portion of the �extra� money to pay down some of your debt. Depending on your situation, you may want to cut out some unnecessary expenses in order to be able to put more funds toward your debt. Have you fallen behind on your mortgage payments? Are you about to have that happen? Contact your mortgage lender as soon as possible. Many lenders will be willing to work with you to help you manage your debt. This is especially true if they believe you are acting in good faith and that your difficulty paying the mortgage is a temporary one. Or, they might agree to extend the repayment period of your mortgage to reduce your monthly debt. Take this step before your home goes into foreclosure. Do this as soon as you are aware that you are struggling to pay your credit card bill. Explain why you are having difficulties and ask if they can work with you to find a plan that reduces your payments to a more manageable level. They may or may not agree to do it. It is worth a try. They definitely won't agree to it if your account has already been handed over to a debt collector. Once you get your credit card debt paid off, make a new rule for yourself. Don't spend more with the credit card than you are able to easily pay of the entire amount of when your bill arrives. 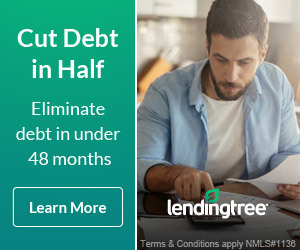 This is a good way to avoid having to pay interest on your credit card debt. This won't change the amount of your debt, but it will give you some peace of mind. Federal law dictates that a bill collector is not allowed to contact you before 8:00 A.M., or after 9:00 P.M.. Bill collectors are not allowed to treat you badly by lying to you, harassing you, or using unfair practices to attempt to collect a debt. They also are not allowed to contact you at work (if your employer doesn't approve of those calls).